Companies often struggle for need to have fast, secure and scalable IT infrastructure, in order to cope up with their Functional Testing and Load Testing requirements. But they often lack the ability to have this setup in-house due to high capital investment that goes into the growing needs of the IT infrastructure, staff and the expertise to administer. Also traditional in-house testing does not simulate real-world traffic which is must for Web testing. Cloud Testing allows companies to automate and speed up the Load Testing and Functional testing of their web application using real-world user traffic over the Cloud platform. Cloud Testing operate a SaaS (Software as a Service) model, so there is no need to invest in any hardware, software or consultancy; Cloud Testing provide all you require for web testing, leaving you to concentrate on your core business needs. AppPerfect supports Cloud testing for web application, wherein we can functional test and load test your web applications using real traffic over the Internet from our servers located world-wide. Using our Cloud Testing framework you can test your web applications on different browsers, hardware and operating systems combinations. We can design, develop as well as execute your tests using our servers over the cloud infrastructure. Connecting to AppPerfect Cloud Environment : AppPerfect provides a hosted Test Management server with a Web-based UI for managing and executing tests over Cloud servers. Once you are done creating scripts locally, you can use this interface to upload the test scripts to our test management server. Once you register for Cloud Testing with us, we will provide you with the connection details for accessing our hosted Test Management system. 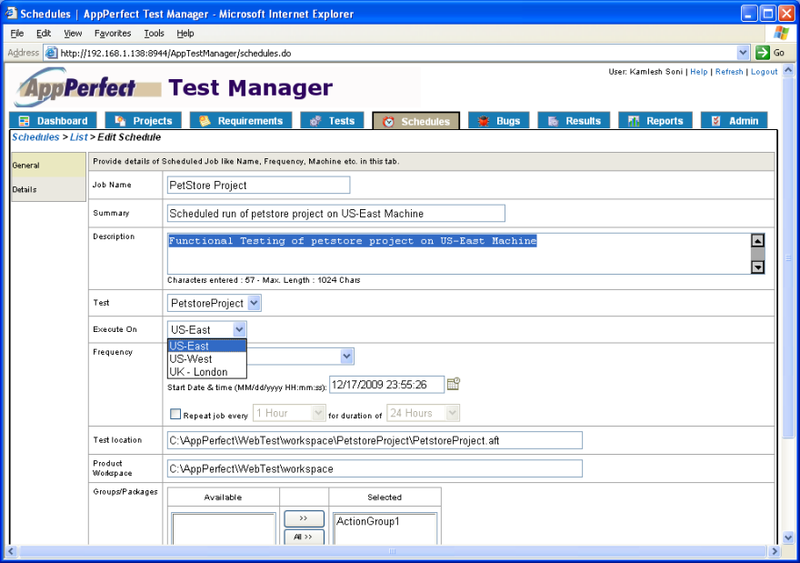 You just need to configure the connection settings for the Test management system to upload the scripts. 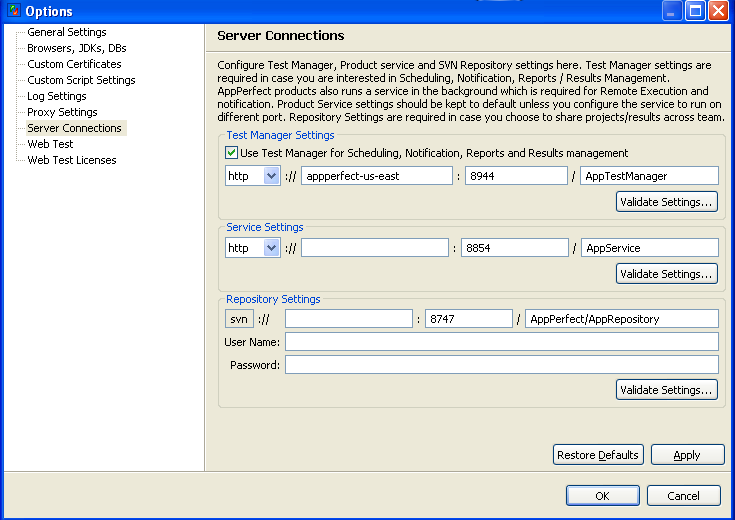 To configure the Test Manager connection select Tools -> Options -> Server Connections -> Test Manager Settings and provide the host:port information which will be provided to you once you register with us for Cloud Testing. 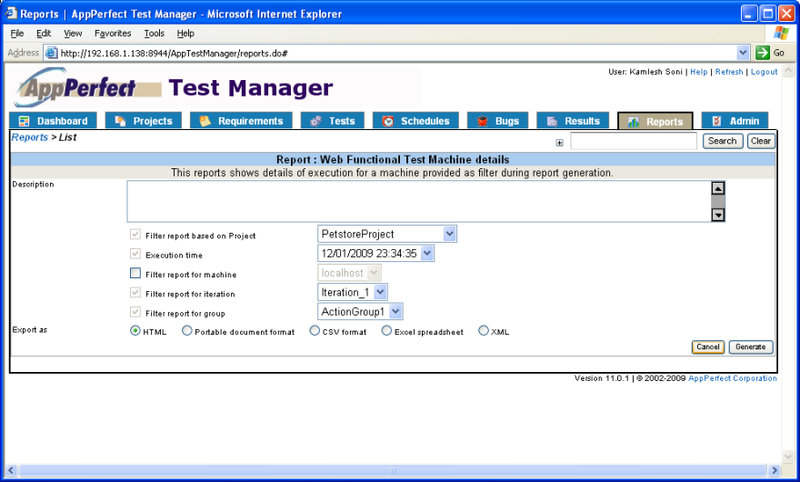 Accessing Remote Test Management System : Test Manager has a web-based UI which you can access using any web browser at your end. Just start a web browser and type the URL http://host:port/AppTestManager where TestManager host and port information will be provided to you once you register for Cloud Testing. This will load the Test Manager UI. You will be asked for User Name and password. Provide the credentials which you will receive on registering with AppPerfect Cloud Testing. You are now all set to execute your Test scripts on Cloud network. 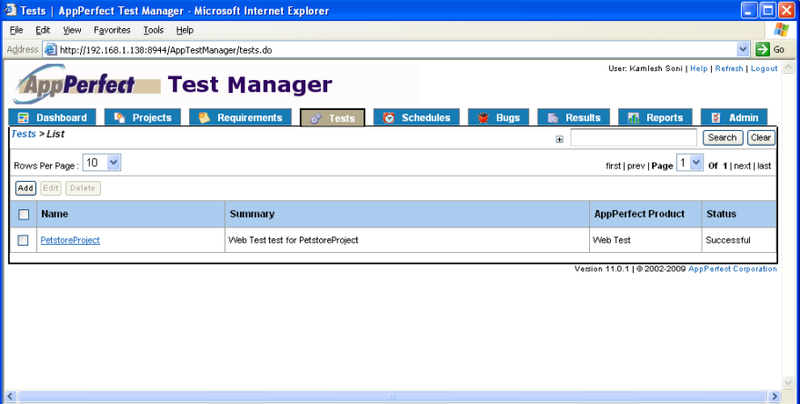 Select the Tests tab to view the Test script which you uploaded in last step. 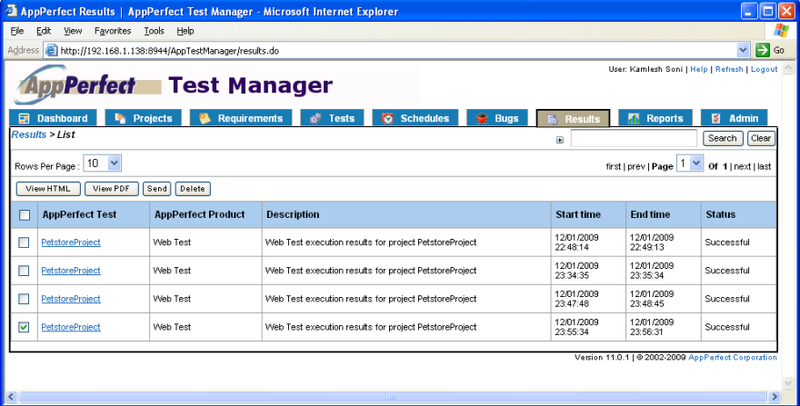 Viewing & Exporting Test Results : Once test execution is over select the Results tab to view the results of execution. 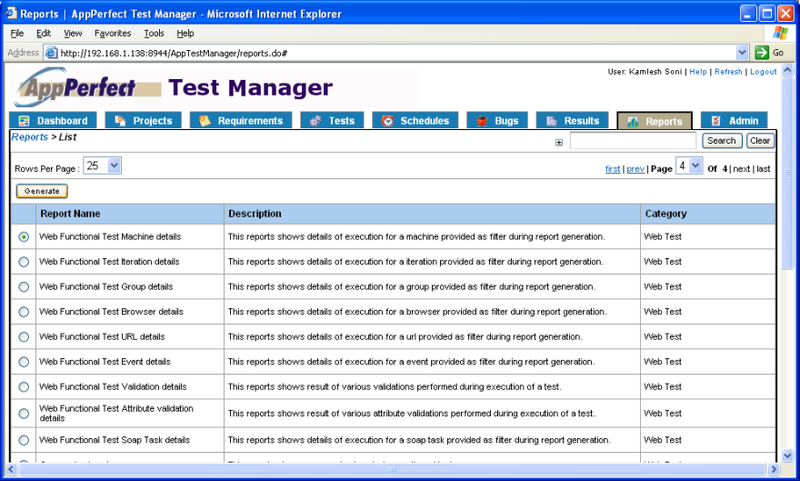 You can view details of result execution for each of the step performed during test execution. 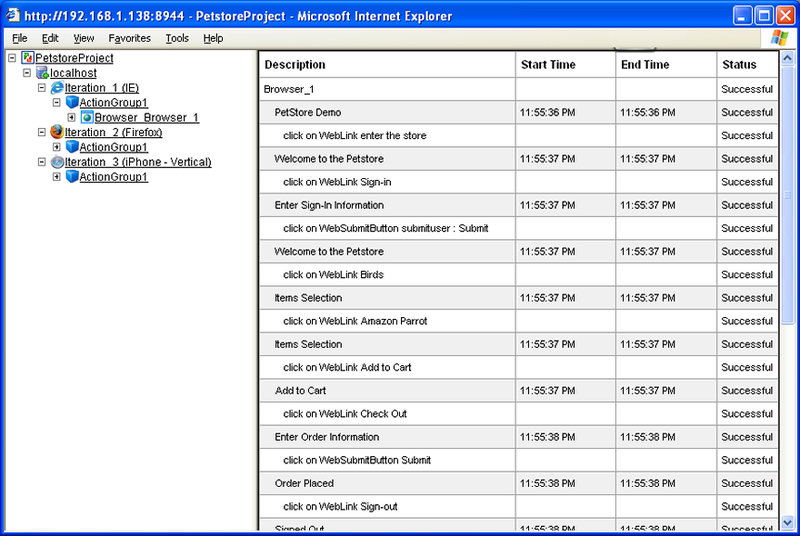 You can also export the results to HTML or PDF formats.